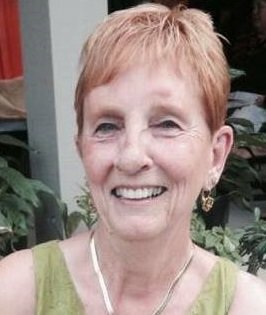 Regina “Gina” A. Gaines Prouty, age 75, a resident of Daphne, Alabama, passed away Thursday, April 11, 2019. Her story began on Oct. 5, 1943 in Mobile, Alabama as the daughter of Herbert and Lillie Gaines. She attended Murphy High School and continued her education at Faulkner State College, where she received her associate’s degree in science. This led to her lifelong commitment of helping others and advocating for those less fortunate. She had a zest for life, love and laughter. She could fill any room with her beauty, elegance and grace. Her passion for gardening, painting, decorating and designing led her to opening The Corner Copia in Fairhope, which quickly grew into a thriving business with two additional locations. She was queen and founding member of two Daphne mystic organizations. She donated her time to many organizations, including her love for Prodisee Pantry. Gina met the love of her life, Dwight William Prouty in Mobile, Alabama. They shared a great love, romance and life, which gave them four amazing children, a son, Dwight “Jed” (Michelle) Prouty of Spanish Fort and three beautiful daughters, Michelle (Don) Johns of Belforest, Dawn Leslie Prouty of Belforest and Heidi Leigh Prouty, who preceded her mother in death. There are also eight grandchildren, Taylor, Kaleigh, Ashton, Joslyn, Cole, Brittany, Connor, Camden; great-grandchild, Chandler and grandchild-in-heart, Kinleigh; additional family members, Will, Phillip, Thomasina, Nina, Karen and Chris; special friends, Melinda, Tempe, Jean, Debbie, Felicia and Linda. Special thanks to the doctors and staff of the USA Mitchell Cancer Institute of Mobile and Fairhope. Funeral services will be held Tuesday, April 16, 2019 at 11 a.m. in the chapel of Wolfe-Bayview Funeral Home, Fairhope. The family will receive friends one hour prior to service time. Interment will follow at Montrose Cemetery. In lieu of flowers, memorial contributions may be made to Prodisee Pantry at https://prodiseepantry.org/donate.